When hope dies, it’s hard to believe life can prevail. We remain at the burial site—gazing upon what we’ve lost, unaware that something greater is destined to arise from the ashes. Helen Keller once said, “When one door of happiness closes, another opens; but often we look so long at the closed door that we do not see the one which has been opened for us.” When Jesus died on the cross, those who had followed him closely were unaware that His death was only the opening of a greater door in which God was about to do “exceedingly abundantly above all that [they could] ask or think” (Eph 3:20). The women who witnessed the miraculous were met with the question, “Why do you look for the living among the dead?” (Luke 24:5). They earnestly came to Jesus’ disciples with news of the empty tomb, only to be met with disbelief. It was as if they had come to a tomb of another kind—where hope itself was permanently laid to rest. The disciples who’d walked with Jesus from the beginning of His ministry had mistakenly believed He’d come to set up an earthly kingdom. He had been their hope of liberation from oppressive governmental and religious systems—a political Messiah. When He died on the cross, their dreams died with Him; when they buried Him in the tomb, they buried their aspirations as well. They did not understand Jesus’ destiny of suffering, predictions of death or promises of resurrection. They didn’t understand He had far greater things for them, an everlasting hope. Many times we find ourselves in what appears to be a hopeless situation—a graveyard of disenchantment, surrounded by death. Life has disappointed us; we have disappointed ourselves. It seems that God has abandoned us to the grave. We cry out for hope, but Heaven is as brass. Alone in a graveyard of doubt and defeat, it seems that the promise of resurrection was nothing more than an illusion. Yet it is when we have come to the end of ourselves that we are on the verge of finding true life. When things seem most hopeless, we are closer to a breakthrough than ever before. Why? Because we finally come to realize that the things we were hoping in were not worthy of our trust to begin with. They were incapable of sustaining us or providing the life we were looking for. We finally seal false hope in a tomb—never to be revisited. This is the beginning of resurrection. Posted in Faith and tagged Christianity, Easter, God, Hope, Inspiration, Jesus, Religion, Resurrection, Spirituality on April 2, 2018 by jenna fernandez. Posted in Faith and tagged Death, Eternity, Halloween, Heaven, Hope, Immortality, Life, Resurrection, Victory on October 31, 2016 by jenna fernandez. My butterflies are waiting in their chrysalises, soon to emerge in splendor and freedom. While I wait for their big reveal, I’m doing my best to follow the step-by-step directions that accompanied the butterfly garden kit. And, I might add, biting my nails. What if I do something wrong? Could one mistake prevent these amazing creatures from fulfilling their destiny? Will they die in their cocoon? This morning, I took the bold step of removing the paper film from their former habitat and transferring the chrysalises to their garden home. Bold, I say, because I do NOT like insects. As mentioned in yesterday’s blog post, the only thing motivating me to care for these otherwise repulsive bugs is the knowledge of what they will become. The next step shouldn’t be so hard. “Do not disturb.” Although, in a classroom full of curious kids, it’s not as easy as it sounds. The future butterflies are busy at work, though all we see is their hard outer shell hanging loosely from the netting. Our job is to wait and watch. Sometimes, we get a little eager to see what’s going on with our circumstances. We want answers, and we want them now. If it seems nothing’s happening, we want to intervene. What if we’re not doing enough? And yet…what if we’re doing too much? There’s a season for everything. There’s a time to labor and invest. And there’s a time to wait and watch. There’s wisdom in discerning which season we’re in. If we step in when we should be still, we disrupt the process. Think of Abraham. When he should have been waiting patiently for the fulfillment of God’s promises, he took matters into his own hands—resulting in family strife that affected all of history beyond. When God says “do not disturb,” it’s best to listen. There’s a work in progress. We’re a work in progress. And the results of waiting (patiently!) are always glorious. Posted in Inspiration and tagged Butterflies, Christianity, Easter, Faith, God, Jesus, Metamorphosis, Nature, Patience, Religion, Resurrection, Spirituality on March 31, 2016 by jenna fernandez. Last Monday I returned to my classroom after a long weekend to find a cup of dead bugs on my file cabinet. At least, I thought they were dead. In reality, those fuzzy insects lying dormant on the bottom of that cup were just waiting for something to happen. Within a couple days, they were moving and eating and making their way to the top of the cup. I’m no insect lover, but I must admit it was fascinating to watch these lifeless caterpillars wake up and start crawling toward their destiny. When I returned after this past weekend, they were already hanging upside down in their chrysalises. Tomorrow, I’ll transfer them to their butterfly garden in hopes they emerge before Spring Break. If not, they’ll be coming home with me. I don’t want to miss the miracle of their ultimate transformation. A caterpillar’s metamorphosis is a parable of life. At first, it appears nothing’s happening. Then, for a short while, they’re moving, but their movement is much like ours—forward and backward, forward and backward. Getting somewhere, getting nowhere. Making progress, losing ground. And in their chrysalis, again it seems nothing’s happening. But we all know the end of this story! Soon enough, nothing will become something. A butterfly will emerge from its cocoon of death. And it will fly free. I’m sure Jesus’ disciples felt nothing was happening as He lay there in the tomb. But that tomb was like a chrysalis, life overcoming death within. After three days, the stone was rolled away, and life emerged. It may seem like nothing’s happening in your life right now, but just wait. 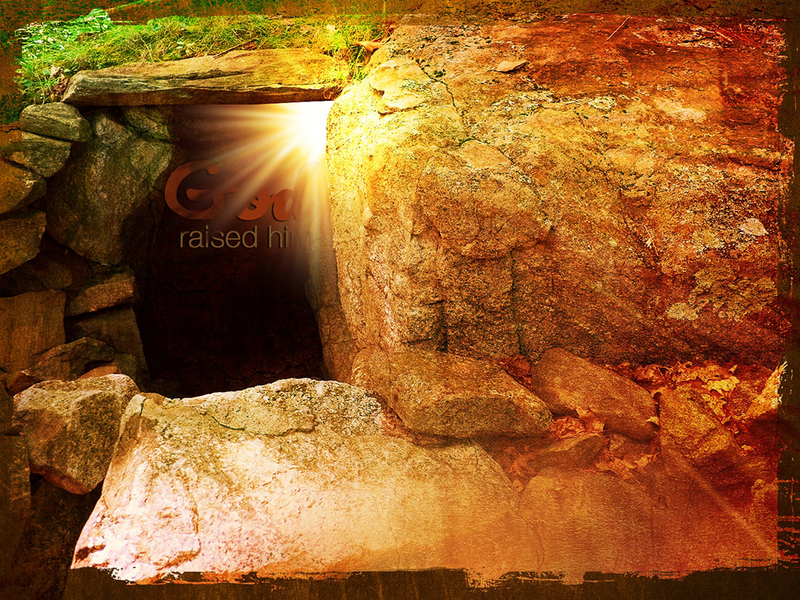 When it seems the most hopeless, the most lifeless, there’s a resurrection coming. New life waits in the shroud of death. Soon enough, in the hands of almighty God who brings life from death, you will fulfill your destiny. And you, too, will fly free. Posted in Faith and tagged Butterflies, Christianity, Death, Easter, God, Inspiration, Jesus, Life, Metamorphosis, Religion, Resurrection, Transformation on March 30, 2016 by jenna fernandez.